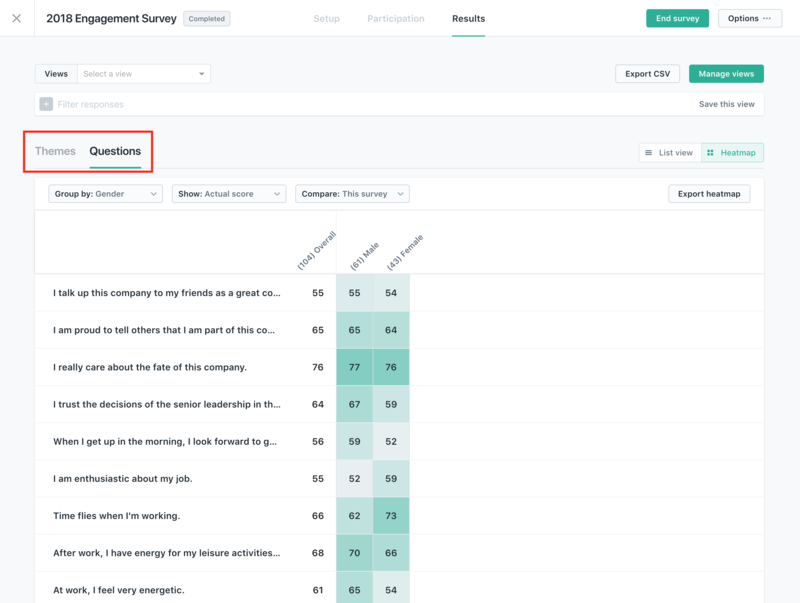 While you can directly share the survey results with other members of your team through within the product, admins might want to export just the survey heatmap to include in presentations or to directly sent a specific view of the data to others. 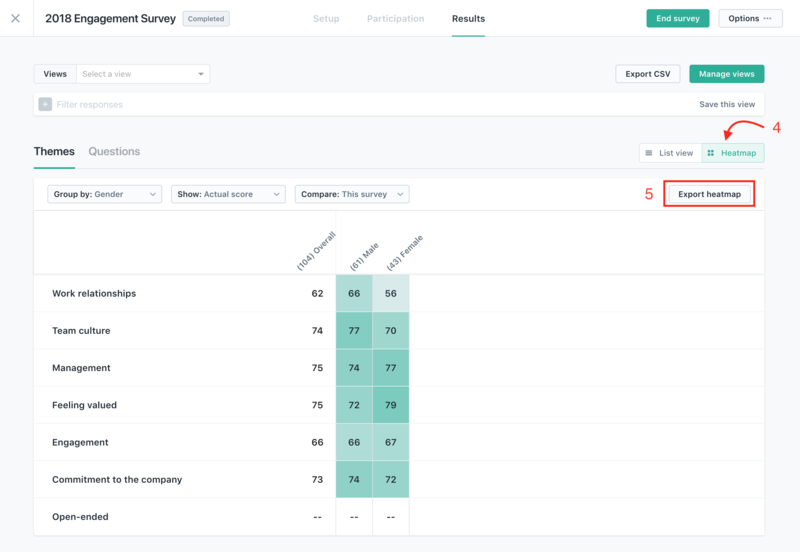 Survey Admins can view and export the heatmap at any time after the survey is launched, as soon as the anonymity threshold has been reached for your questions or themes. 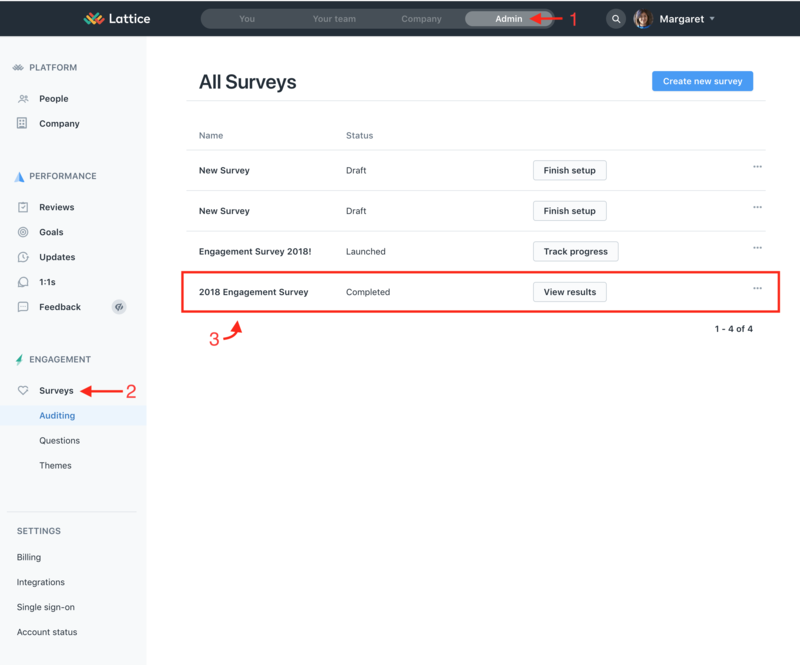 Step 3: Find the survey you would like to see results for and click on either its name OR "View results"
Step 4: Toggle to whether you want to view your data by theme or by question, and then toggle to the "Heatmap" view. The choose what you want to group by (gender, department, etc), filters that you might want to be applied, whether you want to see absolute scores or deltas. Step 5: Click "Export heatmap"
You can export heatmaps for both Themes and Questions by toggling on the lefthand side and then clicking on "Export heatmap" on the right. Why Would I Want to Export My Heatmap? 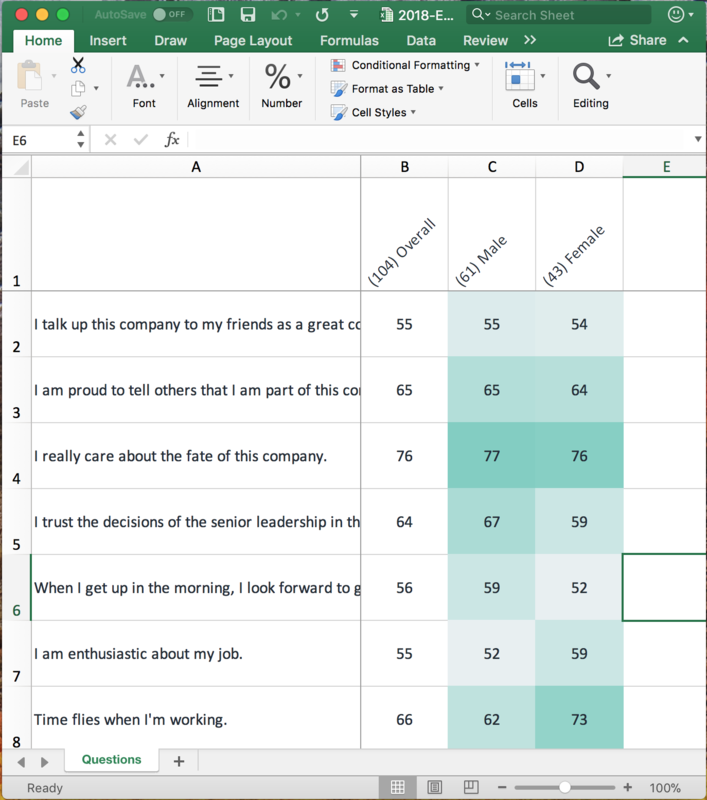 After exporting your heatmap to Excel, you can edit the Excel file in any way that you choose, deleting unwanted columns or rows. 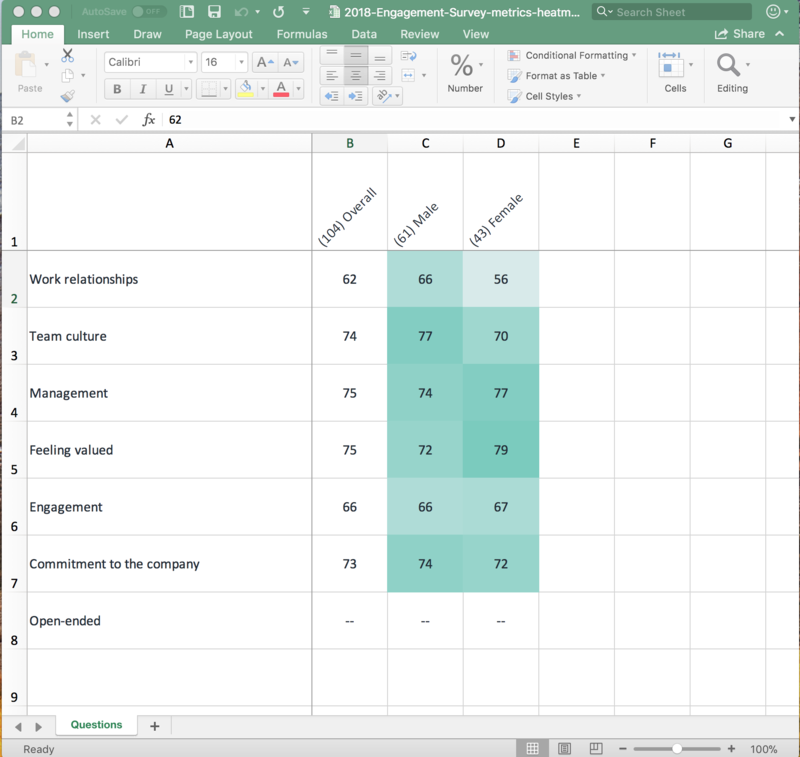 Then, it's easy to select the data that you want to present and copy the cells into a powerpoint presentation for an all-hands meeting or a leadership meeting.